The Sawgrass Marriott Golf Resort & Spa will offer discounts of up to 30% off its regular room rates during a special sale between October 28 and 29, 2014. Those who take advantage of the savings will enjoy a luxurious escape at one of the top golf resorts in Florida. 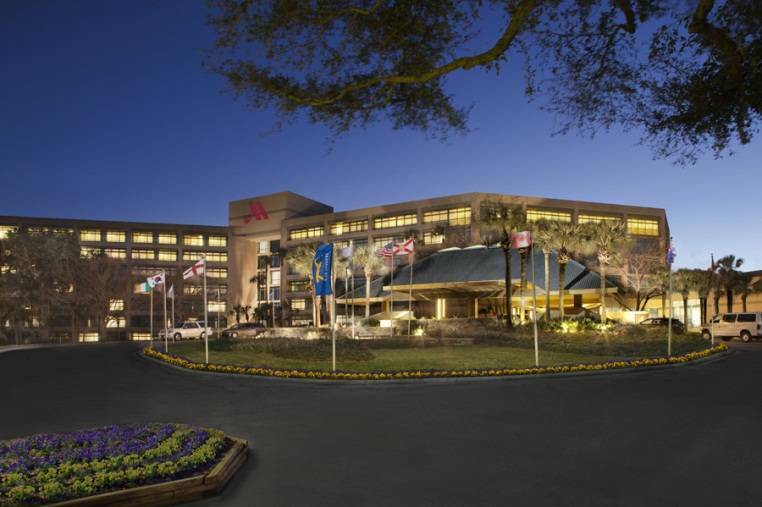 PONTE VEDRA BEACH, FL--(Marketwired - Oct 28, 2014) - Slow and steady may win the race, but it won't get travelers the hottest hotel deals in Jacksonville, FL. Between October 28 and 29, 2014, the Sawgrass Marriott Golf Resort & Spa will offer discounts of up to 30% off its regular room rates. And with 15 acres of golf, spa, beach and restaurants to enjoy, the hotel is giving people plenty of reasons to act fast. Rates for the promotion start at just $119 per night for stays between October 28, 2014 and January 10, 2015. Those who take advantage of the savings will enjoy an action-packed calendar at one of the top golf resorts in Florida. Families, for example, can soak up the sun and squeeze in a visit from Santa at the Santa's Brunch at Sea Porch on December 7. In addition to a mouthwatering spread featuring orange-zest waffles and smoked Applewood bacon, guests can snap a picture with St. Nick and his elf after they've decorated the kids' faces with holiday-inspired face paint. This Jacksonville resort's bonfires offer additional opportunities for family bonding. November 7 kicks off the season with caramel apples, while things heat up again on December 12 with seasonally appropriate s'mores. Other events remind guests why the property is a premier destination among Ponte Vedra hotels. At the Oyster Roast Under the Stars on November 15, for instance, guests can feast on seafood and dance under the stars when Sharkey's deck turns into a dance floor with a DJ. Holidays, meanwhile, blend tradition with vacation, whether it's a Thanksgiving feast highlighting Vernon's award-winning cuisine, or the Christmas tree lighting ceremony (November 29) featuring holiday treats and an appearance by Kris Kringle himself. And of course there's the live entertainment guests can relax to every Friday night at the Beach Club. While special events enhance any stay, this resort offers plenty of ways for guests to have fun the rest of the time. Access to 99 holes of top-rated golf, seven restaurants, four pools and, of course, the beach represent only the beginning of what's on offer. And the limited-time savings makes it easier than ever to enjoy it all. Located on 15 lush acres, the Sawgrass Marriott Golf Resort & Spa feels like a luxurious escape from the ordinary. Guests can indulge in nationally renowned golf at The Stadium Course at TPC Sawgrass, soak up some sun at the private beach club, unwind with yoga or a treatment from Jacksonville's top spa therapist or simply lounge beside one of the four sparkling swimming pools. Activities also include biking, miniature golf and volleyball, among others. After a day spent in the surf and sun, guests can refuel at one of the hotel's seven restaurants, including its signature Vernon's for fine dining, Alice & Pete's Pub for hearty American fare and even Starbucks. Guest rooms, meanwhile, feature newly renovated suites, private balconies, high-speed Wi-Fi access and lavish pillow-top mattresses. 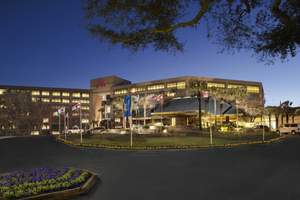 And with 36 meeting rooms affording over 61,000 square feet of stunning event space, weddings and conferences alike can benefit from the oasis-like feel of this preeminent resort. Follow our resort on Instagram @SawgrassMarriott and twitter @SawgrassMR.